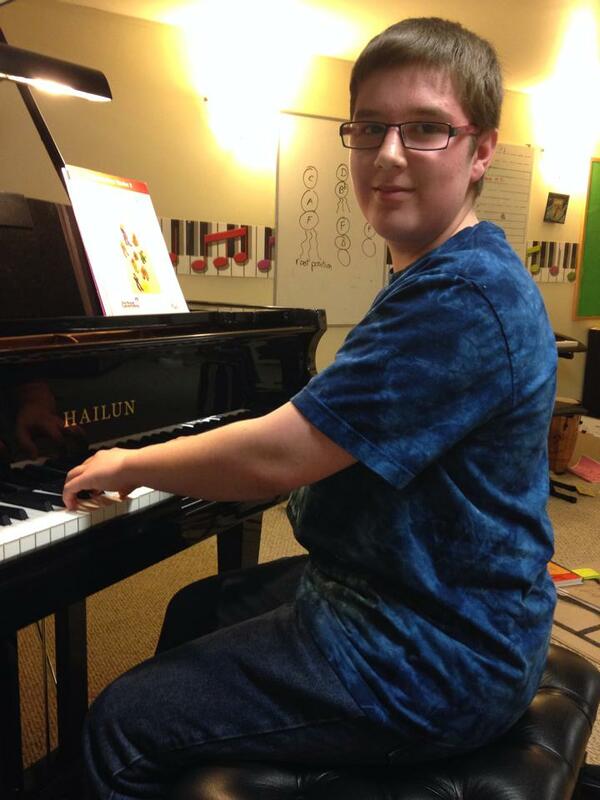 Week 30, Registration and Recital! Happy Monday, Everyone! Today we begin Week 30 of our 34 weeks of lessons. For those of you re-registering for the fall, just a quick reminder that this week marks the deadline. Please have your registration forms and fees in by THURSDAY, MAY 1st, if you are intending to return next year. 🙂 If I do not receive your re-registration by this date, I will assume you are not returning next year and begin to contact those on the waiting list regarding availability for next year. This week’s Wisdom for Your Wednesday marks my 100th blog post! And what better way to commemorate this landmark than with a little tidbit of wisdom from one of my own students! It sure does a piano teacher’s heart good to find out that their student feels this way about their music. What better words of wisdom could you ask for? 🙂 So proud to count Brayden among my students, his enthusiasm and dedication make him a joy to teach. It looks like Spring will finally be arriving this week (at least according to the weather forecast)…and so will Easter! Just a quick reminder that there will be NO regular lessons NEXT week, April 21-24. Instead we will be having special ALL STUDIO master classes. This will give us a chance to prepare our large group rhythm ensemble for the recital (which is quickly approaching!) as well as some pre-recital performance opportunities and other rhythm development fun! For those of you who will be working on Challenge Number 2 (Almost Famous) this week of the Rock Star challenge and having trouble gathering enough of an audience at your home for your challenge, next week’s master classes will provide this opportunity! Just remember to rehearse your pieces (it says three pieces, but for this challenge you can do just two if necessary) three times on the day you perform it at the master class! 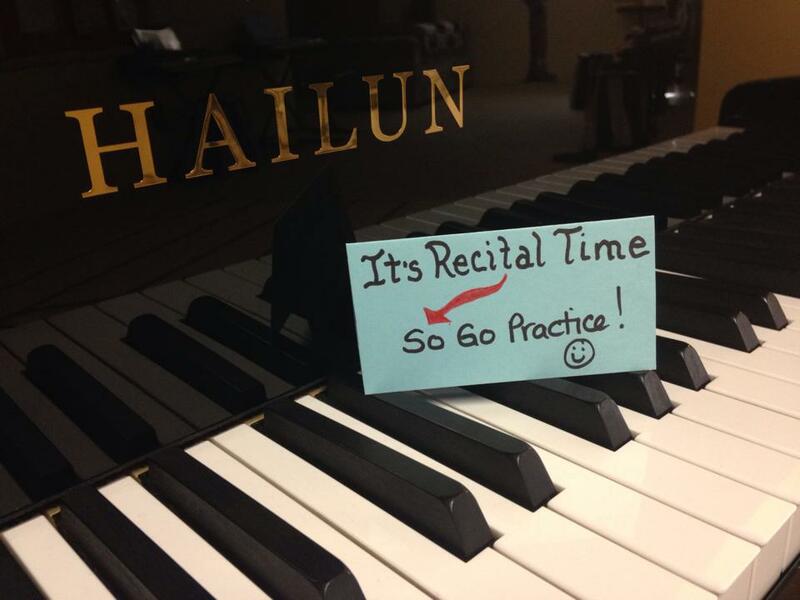 Be sure the piece you are going to play for recital is part of that gig set (you can keep which piece is the actual recital piece a secret from the other students, but it should be one of them! 😉 ) We have just under 4 weeks left to practice for our Spring Recital on May 9th at 6:30pm! It will be here before we know it!!! With master classes there is a larger volume of traffic coming and going. If you are walking your student in and out of the lesson, please try and park outside the cul de sac on the main part of Clareview road to allow any residents coming home from work the ability to get in to their driveways or parking spaces! We want to keep the neighbors happy. 🙂 THANK YOU! NO LESSONS May 27-June 2, STUDIO CLOSED! I am very excited to share with you the April video of the month. One thing that makes this video of the month so very exciting is that it was filmed in Brazil in front of the Christ the Redeemer statue that overlooks Rio de Janeiro…one of the seven wonders of the world! The Piano Guys can now check off two of the seven wonders from their filming bucket list! As breathtaking as the scenery is, the music is even more so….at least that’s my opinion. They have taken the beautiful theme, “Gabriel’s Oboe”, from the movie The Mission and fused it with the hymn, “How Great Thou Art”. They fuse together absolutely beautifully, both musically and thematically. I first saw the movie “The Mission” when I was an RA in university (do they still have those now or am I absolutely ancient?) and I was incredibly moved by both the music of the movie and it’s theme of laying down one’s life to save others. If you’ve never seen it, I highly recommend. The movie was filmed at Iguazu Falls, and so is a good portion of this video. “As we played these pieces in front of the Christ Statue and Iguazu Falls we felt an overwhelming sense of wonder, peace, and joy. This music video is not meant to exclude anyone that does not believe in God. We hope that it instead promotes spiritual feelings that can be felt by all – gratitude for a beautiful Earth, for life, and for joy. We respect all beliefs and opinions, but we hope that in the comments everyone can set aside religious differences and instead focus on building each other up – through gratitude, inspiration, kindness and mutual respect. After a little hiatus for the Spring Break, Wisdom for Your Wednesday is back! 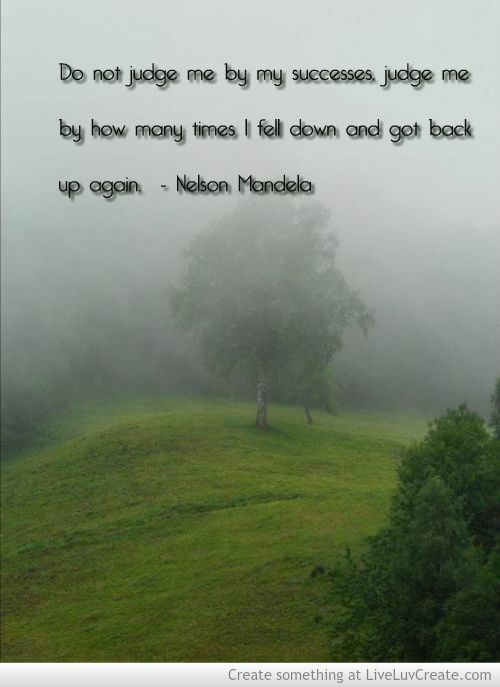 Here is a great quote from Nelson Mandela. No matter how poorly a practice or performance goes, dig in and keep at it! It will pay off.